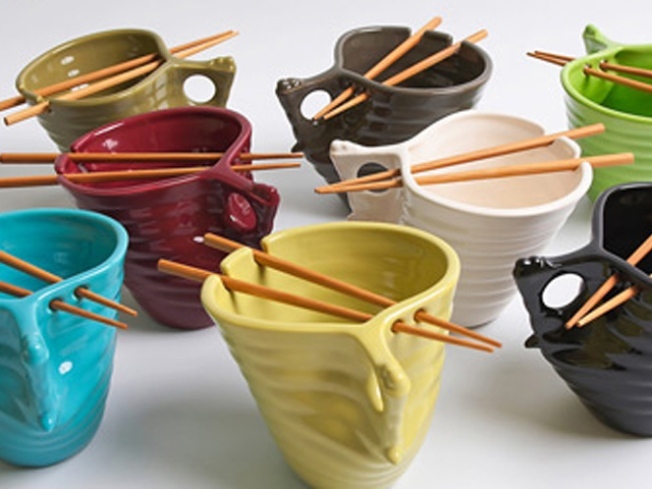 Flavour Design's mod ramen vessels. COMPACT: We’ve long coveted Flavour Design’s inspired modern dining accessories, and the new line of chopsticks-included ramen bowls – slightly smaller, on the noodle continuum, than their genius udon bowls – is about to make the world’s cheapest meal look very chic indeed. $28 from Flavour Design. STOCK UP: Design duo Toni Hacker and Benjamin Harnett started small, designing bags and accessories under the Hayden-Harnett label in 2005. A mere four years later, they've been carried by stores all over the world (including Anthropologie and Nordstrom), opened their own local shops, and guest-designed for Target, putting them in the company of fashion bigwigs like Alexander McQueen and Isaac Mizrahi. Get up to 80% off all things H-H – including some choice vintage and past-season merch – at their three-day clearance event (September 18-20) at their Greenpoint (211 Franklin Street; 718-349-2247) and Nolita (253 Elizabeth Street; 212-334-2247) boutiques.